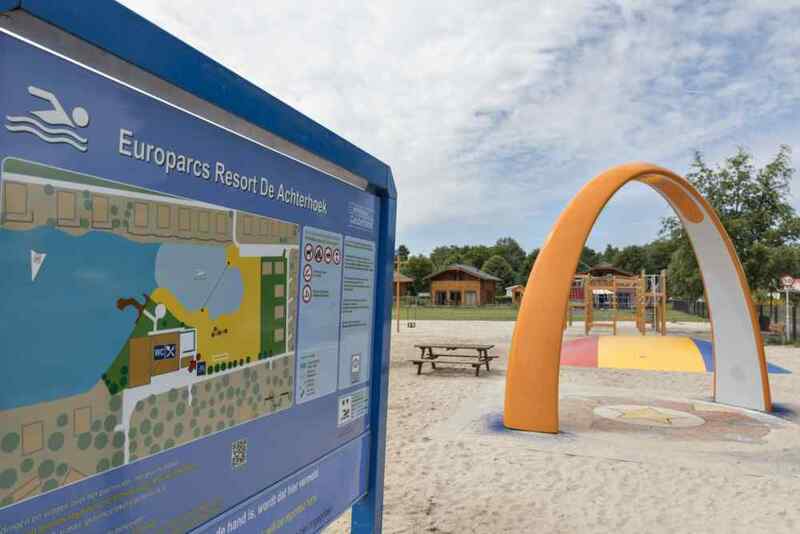 In 2016 interactive playgrounds were installed. These interactive play equipments take playing outside to a whole new level. Discover this new way of playing! The Sona is a play arch guaranteeing fun. One push of the button allows for choosing a game in which children have to memorize a code or traverse a track as fast as possible. Two children making dance moves with their mother and grandmother or counting in Chinese? It's a common sight at this exciting device for the entire family. The large orange arch is recognizable from a long way off, making it a real eye-catcher. At the top of the arch, a camera is installed registering exactly what children are doing on the floor. The play floor is freely accessible and multiple children can play and move to the music simultaneously. The Toro has been developed with hockey coach Marc Lammers' philosophy in mind. Whereas he used to play soccer or hockey in the street, he noticed that, all of a sudden, children are sitting in front of a Wii. Children should get room to engage in sports and 'mess around', even if space is a limited commodity. The game on the Toro is never static. Thanks to the angled corners and four goals on all sides of the field, the game is always moving and no player gets to stand still. The Toro is a colorful playing field, where traditional goals have been replaced by interactive panels. The goals equipped with LED lighting and sensors react when the goal gets hit. The field is 13x13 meters and can accommodate five players per 100 square meters. Kids today want games that keep up with the times. The Yalp Sutu is the good-old side wall in an innovative new guise. The football wall is perfect as an affordable, accessible community facility, and it's equally perfect for professional soccer training at a high level. 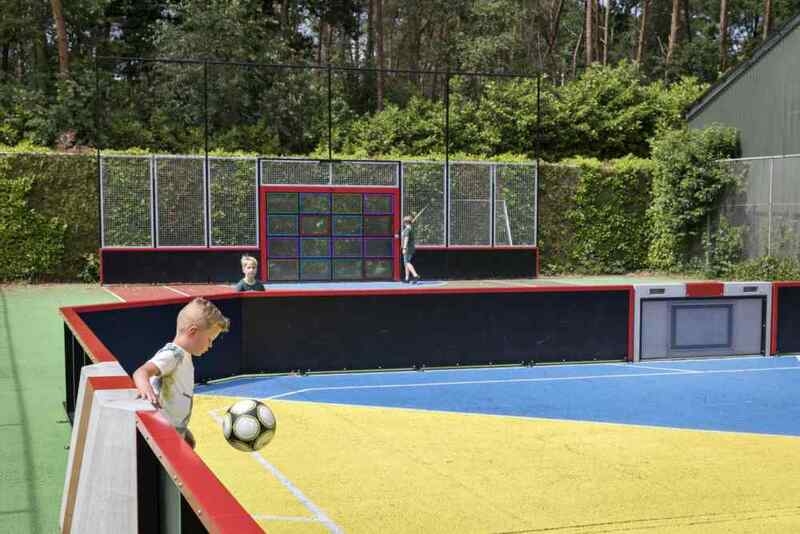 The Yalp Sutu football wall has 16 impact-sensitive light emitting surfaces. ball. With a mere press of a button different games can be chosen. Through a 3G connection new games can be constantly uploaded on the football wall keeping it innovative. The Yalp Sutu can be seen every Saturday night on the De Eretribune show on Fox Sports.